Attack with LarryC : Fly with two wings! Fly with two wings! Opening: B10, B51: Caro-Kann, Sicilian Player(s): romanov, Svane, Kuzuboc, donchenko How many times we have elaborated a great plan, attacking on the King's side, focusing on just half of the board, giving thought to 32 squares, which we view as the all-important ones? Playing chess is a tricky job for the mind and all of us have experienced the half-blindness that usually leads to disastrous results. Pushing on a side of the board, while ignoring the other side, or the center, is one of the most common mistakes among average players. In this episode of his show, GM Larry Christiansen analyzes for us two games played recently in the Pokestar tournament at the Isle of Man and at the World Rapid Championship held in Berlin, Germany. 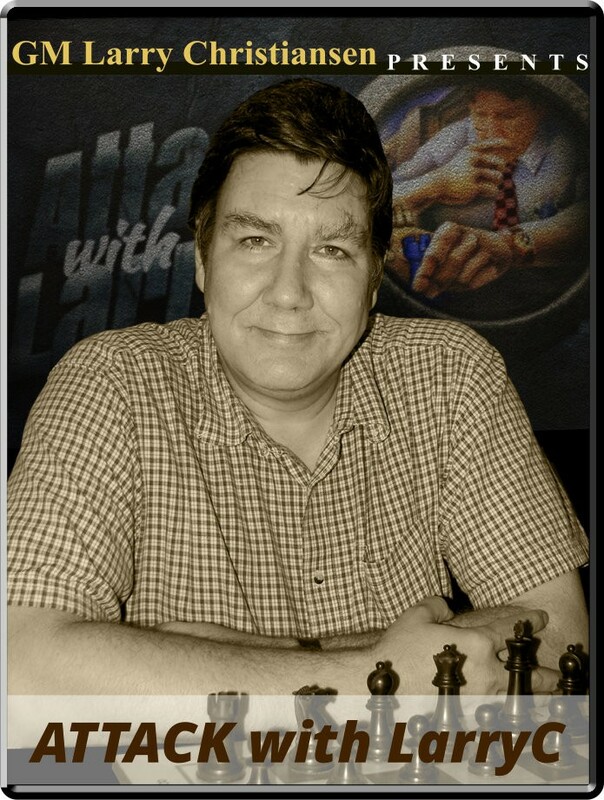 Larry doesn't show us the big guys at work, but the two games - played by relatively unknown Grandmasters - are a perfect example of how to play all over the board, without neglecting any part of it. Another great lesson about tactics and positional prowess by our amazing GM Larry Christiansen!